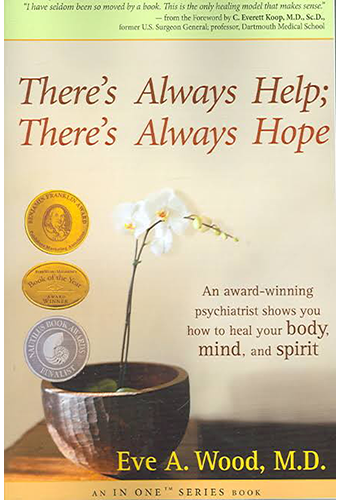 A Healthy Lawyer | Coach, Author, Professor, Psychiatrist, Speaker Eve A. Wood, M.D. Eve A. Wood, M.D., uses a practical, science-based approach to help attorneys with depression, anxiety, burnout or extreme stress transform their lives for well-being, joy, and professional success. 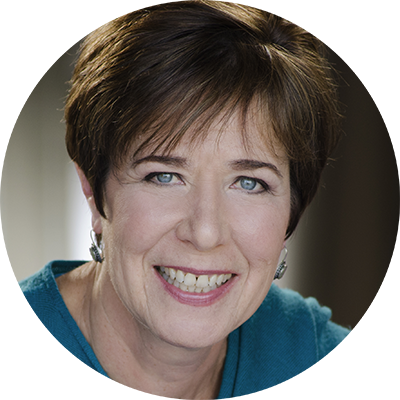 She is an integrative psychiatrist, executive coach, and key note speaker, who is driven to help attorneys build lives they love. She serves on the Colorado Supreme Court Task Force on Lawyer Well-Being, recently created by the Chief Justice of the Colorado Supreme Court. She has developed the signature program: A HEALTHY LAWYER; A Sustainable Approach to Depression, Anxiety, Burnout, and Stress. Dr. Wood has been in practice for 35 years. She has been a professor in numerous settings, the medical director in many settings including an addiction treatment center, a general psychiatry center as part of a hospital, and one that was freestanding. She has been a senior medical consultant to the national health system in New Zealand, and the chief medical officer for a large group of mental health facilities in Colorado. She spent 3 years as medical director of integrative services at Centura Health, a large health system in her home state. She has spoken, taught, and presented all over the world, making her mark in the field by bridging body, mind, and spirit in an empowering model of whole-person healing. 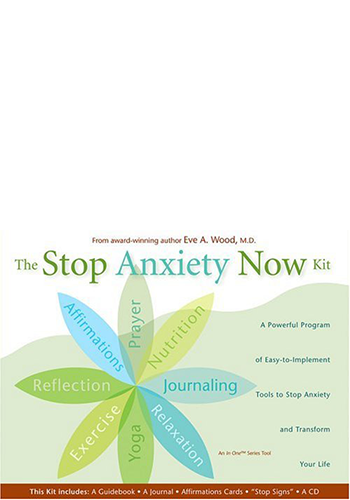 Dr. Wood has authored three books and two self-help kits; has won numerous awards for her writing (including the Benjamin Franklin Award for Best New Voice: Nonfiction for There’s Always Help; There’s Always Hope); was back-page feature columnist for Massage Therapy Journal (taking over for Bernie Siegel, M.D., when he retired); has been a radio host on Sirius Satellite Radio and Hay House Radio; was a professor for six years at the Integrative Medicine Program at the University of Arizona College of Medicine; and much more. But most of all, she is a deeply ethical and passionate human being who is concerned about sustainable approaches to health and well-being, that maximize the individual’s innate capacity to heal and thrive, while minimizing the need for medications. 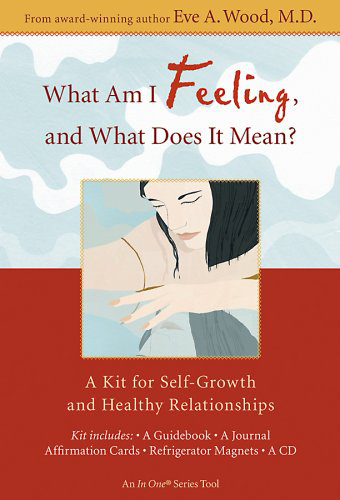 Learning to control emotions is both difficult and rewarding, probably one of the most important steps to attain optimum health of both mind and body. 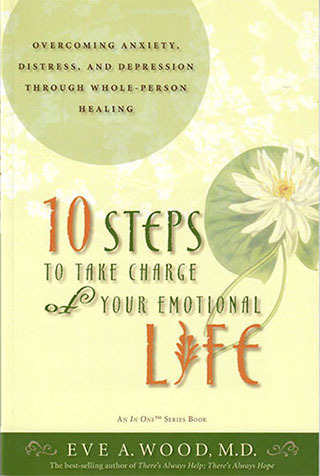 Dr Eve Wood has authored a detailed and practical guide to help you do it. I recommend this book and am completely in agreement with the philosophy behind it. I have seldom been so moved by a book. This is the only healing model that makes sense. 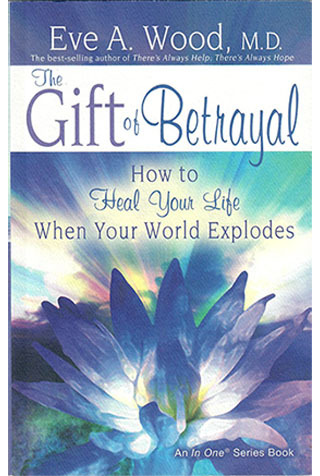 Eve Wood helps us understand how the journey from wounded to healing must integrate all elements of one’s physical, emotional, and spiritual life. Although many believe that these diverse elements must all be integrated for true health, Wood describes a model that is unique in its clarity.